Successful program/project manager creating large-scale opportunities for new communities to experience space exploration and research in inspiring and empowering ways. 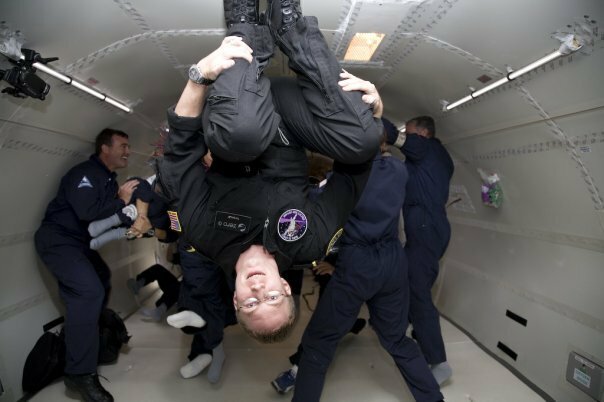 Highly experienced parabolic flight crew for "weightless" flights in the US. Training and certification from the FAA and NASA. Articulate and comfortable in front of a microphone, camera, and/or audience. Multiple audio/video productions. Open to collaboration and consulting opportunities. What are we creating today? Led a competitive, successful bid to host the National Space Society's 2009 International Space Development Conference in Orlando, Florida. Managed a team of 100+ staff and volunteers through all phases of the project including site selection, advertising, conference program selection, setup and on-site operations. Co-host of an occasional audio and video podcast focusing on space headlines and interviews. Organize collaborations between the nation's premiere space advocacy organizations. Co-founded a "space culture" company with designer Karen Lau to revitalize the look and feel of the space industry and integrate space themes into everyday living. Now operating as an independently-owned consulting firm focussed on media, education, outreach, and event coordination for the aerospace community. Direct operations for one of the most active chapters of the National Space Society. Activities include cross-organizational information sharing and event promotion, launch support and publicity, and general chapter meetings. Spearheaded successful rival bid to host 2009 International Space Development Conference in Florida. Global Executive Council position responsible for supporting events and organizers around the globe and beyond. Duties include support and collaboration with the Executive Director on vision, organizational strategy, long-term and annual goals, personnel coordination, overall implementation, and operational management. Provided subject matter expertise for the Florida Aerospace Microgravity Training Program. Consulted on curriculum revisions and movement to an online format. Also provided audio technician services to capture and edit voice-overs. Organize and manage 40+ people as a volunteer workforce for the first and second annual OC Air Show in Ocean City, MD. Volunteer positions included tickets & security, program sales, parking, performer support, and hospitality. - Develop and implement an on-site education program for 3,000 students during the 2007 World Space Expo at Kennedy Space Center, November 3-11, 2007. - Design interactive activities that are correlated to relevant Florida education standards. - Facilitate participation by 6-8th grade classrooms from various parts of Florida. - Support informal educational activities for Girl Scouts participating in the World Space Expo. - Collaborate with partner organizations to create additional educational opportunities including online activities, support for educators, and local events. Managed the organization and execution of the premiere international gathering of youth and young professionals focussing on space exploration. - Maintained steady growth in applicants and attendees. - Located and coordinated venues in Valencia, Spain. - Strengthened relationships with the International Astronautical Federation. - Set new record for event sponsorship. Helped to develop, implement, and maintain for-profit business ventures for the university. Created a specialized student handbook for an advanced pilot training program. Organized an industry workshop on pilot selection and training. Taught the "Comedy Workshop" and "Video Production" courses for local middle school students during the summer �Kids In College" program. Responsibilities included preparation of class materials, presentation of lectures on relevant subject matters, student project coordination, technical and artistic advisement, and overall operations of classes. - Managed 12 students continuously Sunday-Friday - Managed 6 adults + 6 students Friday-Sunday - Duties included: space history instruction, simulator training, model rocket launches, Kennedy Space Center tours, general supervision, and project management.